Maor Appelbaum is part of the team responsible for the production of Faith No More's stunning new album Sol Invictus. His job, audio mastering. 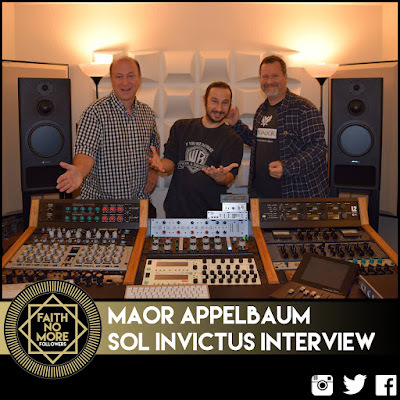 Maor has worked on an impressive selection of albums and his clients include YES, Rob Halford, Sepultura, Walter Trout, Armored Saint, Limp Bizkit and William Shatner to only mention a few. He is also a really cool guy and kindly agreed to answer a few questions on his work with FNM. 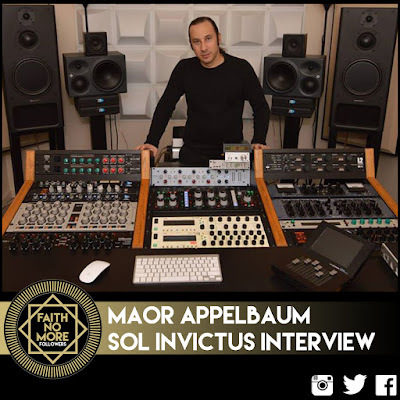 First of all for those unfamiliar with the mastering of an album could you briefly explain the part you played in the production of Sol Invictus? The part that I am responsible for is called mastering and it's the final creative and technical step before the music can be released and distributed. This is the place to make the final tonal, level and dynamic adjustments in order to optimize the songs to sound the best they can and as cohesive as possible with the others. Another part of the mastering is working out the flow of the album making sure the transitions between the songs and how they start and end feel right within the artists vision of the sequence. I use different tools such as EQs , enhancers, compressors and limiters to adjust the overall sound and bring it to the point where it feels like a finished product. Kind of like the icing on the cake, it adds the extra touch to an already good sounding record, taking it to the next level and polishing it. By that we are enhancing the product and making it more engaging to the listeners. Another aspect of this is the process of making sure it will translate well on the majority of the formats, playback systems, headphones and speakers. How was your experience of mastering the album? Were you left to it or did you work alongside Bill and Matt? It was an amazing experience working with such great people as Bill Gould and Matt Wallace. Both are very passionate, artistic and connected very deep into the music. The album is unique, flowing like a soundtrack of a crazy and intense movie. In one point it brings a sombre feel and then it goes crazy. In a different song it starts with a chill feel and then goes to a very aggressive ending. It's a roller coaster ride but you will remember every part of it. I wanted each song to come out like it's a powerful scene by itself and still make them all feel connected with each other. Billy and Matt were in touch with me prior to the mastering and came here with the mixes to check how they sound in my studio, on my system, so they could take notes and make changes in the mix if needed. When the final mixes were finished and printed Matt sent them to me to master. I worked on it a few days and sent Billy a set of initial masters for him to check and give me feedback. 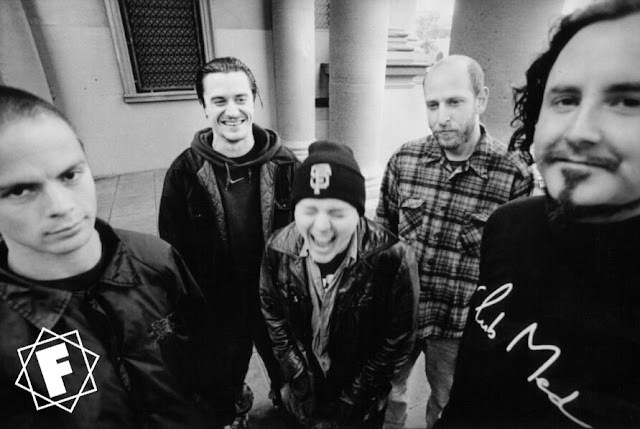 The Faith No More back catalogue includes mastering by Howie Weinberg. Did you refer to these previous FNM albums for inspiration? 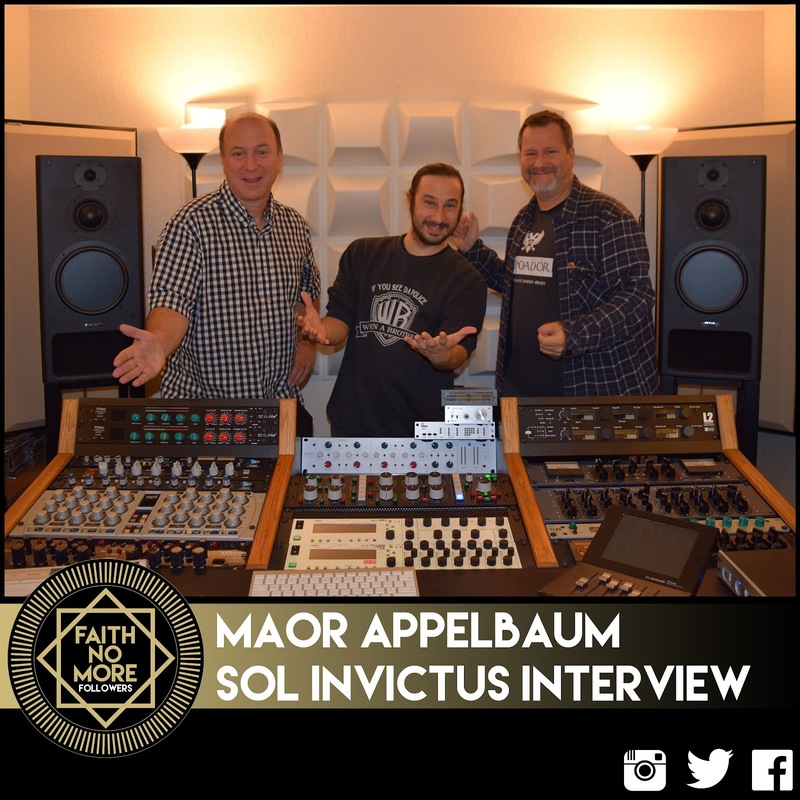 Faith No More have worked with a few mastering engineers throughout the years. From the early days ( Introduce Yourself / The Real Thing / Angel Dust ) with John Golden to later years ( King For A Day - Fool for A Lifetime / Album Of the Year ) with Weinberg. Because every album is very different from the next, so is the overall sound, and each album is unique. Likewise the production or mixes are different therefore so is the mastering and the overall sound of the album. I do admit that I am a fan of the band and I am aware of the history of the music and the sonics, I am sure that in a subconscious way it was always inside my brain and maybe it helped me figure out what they like. That being said I still have to think current and make it work with what they are presenting here almost 18 years later. We have to remember that the last album they released was in 1997 so there is a big gap in between the old and the new sound, and music in terms of loudness levels, the way the songs are produced / mixed and the recording technology. With Sol Invictus destined for Vinyl release did this make your job more difficult? First of all I wanted to make sure the album sounded great in the mastering and make it work on all the various playback systems. After the band and I were happy with the final results of the mastering I set it for the various formats from CD, digital downloads, high quality mp3s, mastered for iTunes and files to send to a cutting engineer to make the vinyl mastering of it. The overall sound of the album is very different to previous FNM albums, with a much more rudimentary and raw feel, yet noticeably fresh. Were you conscious of highlighting this when mastering? Yes I was definitely conscious of doing so when mastering it. It's part of the vibe. In the big picture this album is really about them bringing out the energy and the signature song writing they are known for, but taking it two steps further and surprising the fans with an album that rocks hard and takes them on a crazy ride. 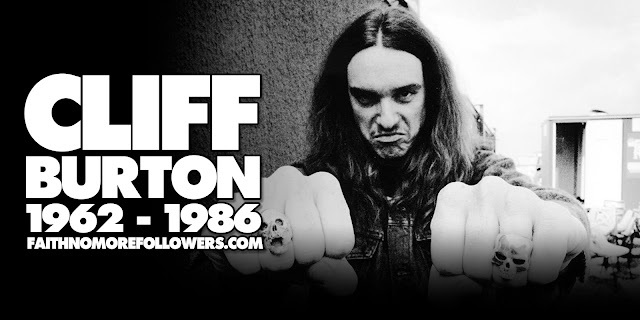 Billy did an awesome job of producing this album and he worked closely with Matt and me to make sure it yields the results he and the band wanted to achieve. With the technology available is it an easy task to recreate an analog feel to an album? I think the analog feel really comes from the combination of the all the stages in the production. Every part of the process was very important in order to achieve the sound of this album. analog gear was used in it but also current digital workstations. No tape machines were used, but certainly a nice combination of analog and digital gear in various stages of the production, recording, mixing and mastering. With the ferocity of FNM's rhythm section coupled with the delicacy of Roddy's keyboards was it hard to get a final balance? Likewise with the amount of different voices used by Mike Patton did this prove difficult to produce a final sound? The balancing is really done in the mixing stage where the instruments and the vocals are blended with each other.The more complex it is the harder it is to make those elements come out but I think it worked out very well. In the mastering process I just made sure that there is enough punch, tightness, clarity and power to the overall sound. This album however different to the previous records by FNM fits perfectly amongst the back catalogue. Were you also conscious of how important to fans this album would be? I am a music fan and I am a Faith No More fan - I want everybody to enjoy this album like I had enjoyed working on it. I am happy when the band and fans like it. It's a win win situation. What is favourite track on the album? I just want to keep doing what I love doing and Its being a mastering engineer. Wishing everyone the best and to enjoy music. Please invest in the artists - they are making your day rockin please make it theirs as well. Thanks Maor for your work and taking the time to share such detailed information. Musicians interested should contact Maor here.